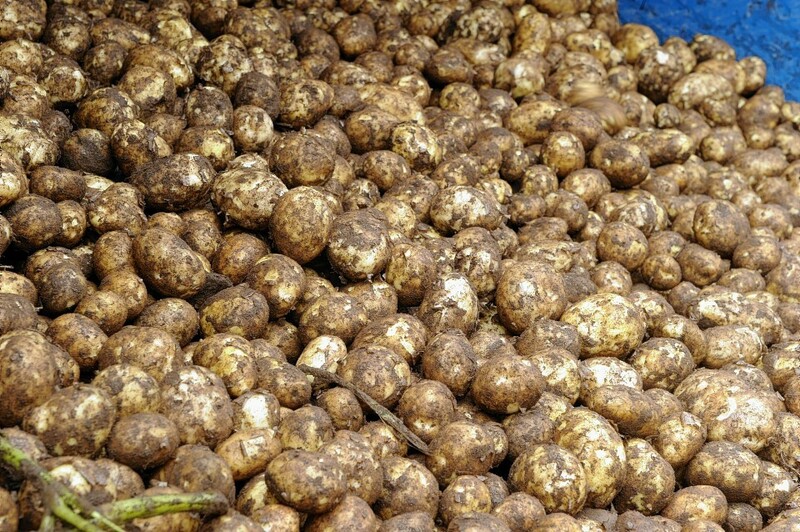 Potato farmers have been warned of a potential surge in supplies to the market later this year. According to industry levy body, AHDB Potatoes, the estimated total area planted with potatoes in Great Britain this season is just short of 300,000 acres. This is up by 4% on last year, the same as 2014, and a similar level to the area planted in 2012 and 2013. AHDB said the UK estimates were similar to data from Europe – figures from the North-west European Potato Growers, which covers Belgium, the Netherlands, Germany, France and the UK, predict a 3.6% increase in acreage on last year. The organisation’s market analyst, Amber Cottingham, said final production figures would depend on yields. “A five-year average yield of 44.7 tonnes per hectare (t/ha) would see a production increase of 4%,” added Ms Cottingham. She said the season average prices in the 2013 and 2014 seasons, which each had a similar planted area to the estimate for this season, were £154 per tonne and £127 per tonne respectively. The season average prices include both contracted and free-buy prices. “There is still a lot of growing time remaining in the season, so nothing can be taken for granted at this stage. An increase in production of between 4% and 8% might sound sensible, but if this season sees another record high-yielding year such as 2015 then production could be as high as 5.9million tonnes,” added Ms Cottingham.